Abstract— The concept of resilience has recently become popularized in the field of sustainable development, especially as it relates to climate change. However, only the notion of resilience from an ecological perspective is commonly discussed, while the discourse on human security is often omitted. To date little has been done to merge these two concepts in the field to assess systems that are vulnerable to climate change. This paper will provide a theoretical framework that researchers may use to identify potential upstream and downstream factors (i.e. social, environmental and economic) to assess resilience, and in turn watershed health and environmental security in the Vu-Gia-Thu-Bon (VGTB) basin in central Vietnam in the future. It will draw upon previous work in the Cham Island Marine Protected Area and Hoi An City where researchers have started to use the concept of resilience to demonstrate the relationship between coastal cities and ocean environments that are currently coping with the impacts of climate change. Ultimately, it will result in a framework to assess climate change and local livelihoods through the lens of ecological resilience and environmental security in the context of Vietnam. 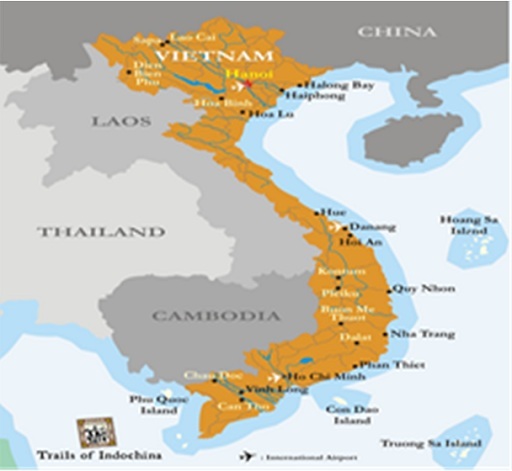 Vietnam consists of over 2,360 rivers, divided among fifteen river basins or watersheds, which are all facing a wide range of issues that make the management of these basins a tremendous challenge. One of them is the Vu-Gia-Thu-Bon (VGTB) watershed, which is located in central Vietnam (Figure 1). Within the VGTB basin there are nine major rivers totalling a length of 900 km, which includes two main rivers: the Vu-Gia and the Thu-Bon (Figure 2). The system encompasses 10,350 Km2 and originates near the border of the Lao Peoples Democratic Republic and flows into the Eastern Sea via the Dai and Han Rivers located near Hoi An and DaNang (DONRE Quang Nam Province 2011, 1-3) (Figure 2). Approximately, 560km2 or 5% of the total watershed is upstream in the Kon Tum Province, whereas 9,000 Km2 or 87% falls under the jurisdiction of the Quang Nam Province, and the remaining 790 Km2 or 8% is located in DaNang City. The VGTB basin is an interesting case because the majority of the watershed is located in the Quang Nam Province and DaNang City, which may simplify proposed data collection and analysis in the future. This watershed is characterized as ‘short and steep,’ and regional topography includes drastic changes in elevation between mountainous, midland and coastal regions (QNP SEA 2011). The upstream areas of the watershed are comprised of steep and narrow riverbeds, while the midland region includes wide and shallow riparians. Whereas further downstream, coastal areas are ideally suited to support rice production and as a result provide a natural buffer zone to mitigate the impacts of floods (DONRE Quang Nam Province 2011, 2). Regional geography demonstrates the connection between upstream and downstream areas, especially as it relates to regional flooding. For example, Dai Loc District is located in the midland region of the VGTB watershed. Historically, this area’s riparians have provided a natural buffer and water storage area to prevent floods in the downstream urban centers of Hoi An in the Thu-Bon sub-basin and DaNang in the Vu-Gia sub-basin. However, as this District has urbanized it has experienced an increase in flash floods locally, which experts agree may also bring about increased flooding and saltwater intrusion in downstream urban centers. The example of Dai Loc may be illustrative of the new reality in the watershed. Historically, the VGTB river system has been well suited to deal with seasonal flooding, but it is unclear if it will be able to absorb the impacts of serious flood events in the future. Traditionally, the wet season (September to December) has “generated 70% of runoff in three months,” whereas “during the height of the dry season (February to March) only 1- 2% of runoff is generated (ICEM 2008 in Burry et al. 2009, 5).” The VGTB watershed is known to have one of the longest dry seasons in Vietnam totaling nine months. This creates significant challenges to manage water resources effectively (QNP SEA 2011). These challenges are exacerbated by the basic hydrology of the watershed. The Vu- Gia and Thu-Bon basins intersect during the wet season through the Quang Hue and Vinh Dien Rivers, which form “a braided river system in the delta (ICEM 2008 in Burry et al. 2009, 5).” Historically this has alleviated the impacts of flooding in the wet season. However, these natural connections are often non-existent during the prolonged dry season, which further complicates local water management efforts (DONRE Quang Nam Province 2011, 3; Figure 5.3). This not only demonstrates the connection between the two sub-basins, the Vu-Gia and the Thu-Bon, but also the importance of upstream habitat to ensure downstream areas can access important water resources to ensure long-term sustainability. Resilience is one tool that may be used in Vietnam to address long-term sustainability. In the past, it has been employed locally to assess the socio-ecological impacts of local development initiatives and climate change. For example, the city of Hoi An has previously used a resilience framework to assess sustainability through studying climate change impacts and local livelihoods in the Cu Lao Cham Marine Protected Area and Biosphere Reserve. This study aimed to link coastal towns like Hoi An to the Cu Lao Cham MPA and Biosphere Reserve, and used the concept of resilience to demonstrate their interconnectedness (Trinh 2014). However, this paper only defined resilience from the perspective of socio-ecological resilience, and it did not take upstream areas into account in its analysis. This study will aim to go one step further by using a broader definition of resilience, and examining key upstream areas in the Thu-Bon sub-basin and VGTB watershed. This is possible through a broader definition of resilience that includes both concepts from security studies and socio-ecological resilience. A more all-encompassing conceptualization will allow both upstream and downstream factors to be identified for future studies that may enhance watershed management efforts. Resilience is a concept that has continued to evolve since it was first conceptualized in the 1960s and 70s, and today spans multiple disciplines. Theorists and practitioners have worked to define it in different fields, but few studies have actually put it into practice, even though it may be a valuable determinant of ‘sustainability’ within a given watershed. This section will summarize previous work in the area of resilience, as it related to socio-ecological systems and security studies, in order to begin to define the term in the context of both fields and establish the theoretical framework that will be used over the course of this study to assess ‘sustainability’ in the VGTB basin. The concept of resilience emerged from the field of ecology in the 1960s and 1970s to address the long-term survival of ecosystems under increased pressure (Dovers and Handmer 1996, 486). According to the prominent ecologist C.S. Holling, “Resilience determines the persistence of relationships within a system and is a measure of the ability of these systems to absorb changes (Holling 1973, 17).” In accordance with this definition, resilience denotes the ability of an ecosystem to persist in extreme circumstances, such as those resulting from climate change. In contrast, vulnerability is the opposite of resilience. It occurs when “a social or ecological system loses resilience” in effect “it becomes vulnerable to change that previously could be absorbed” by the actor or system (Kasperson and Kasperson 2001a in Folke et al. 2002, 13). However, the concept of resilience has evolved, in order to address the institutions and individuals that operate within the broader system. That is because simultaneously to the evolution of this concept in ecology, it was also adopted in the literature on climate and disasters in the 1970s and later applied to sustainable development and various social sciences (Gaillard 2010, 220). In this context, resilience is defined as an actors’ ability to cope with, absorb or adapt to stress (Pelling 2003, 48). Thereafter, resilience started to include both social and ecological components, and was popularized by the international community. This is especially true in the VGTB basin where resilience has mostly been used within the context of climate change and disaster risk reduction. The environment is at the core of socio-ecological resilience because it “relates to the functioning of the system, rather than the stability of its component populations, or even the ability to maintain a steady ecological state (Pimm, 1984; Holling et al., 1995; Perrings 1996; Gunderson et al., 1997 in Adger 2000, 349).” Essentially, resilience helps to mitigate regime shifts within an environmental system. A regime shift may occur when a system or environment undergoes sudden, unexpected or catastrophic changes (Folke et al. 2004). Sudden shifts in the system can “ be difficult, expensive, or sometimes impossible to reverse,” as well as “difficult to predict in advance (Folke et al. 2002, 8).” Studies demonstrate that riparian environments may be more vulnerable to regime shifts when they are subject to various environmental threats. For example, maintaining stream buffers along rivers prevents erosion, which in turn protects fish habitat, maintains soil quality, and offsets downstream flooding. Thus, stream buffers are important for a healthily functioning environmental system, and when they are removed the ecological state of the watershed changes and arguably reduces resilience. Further, this sudden shift may undermine important ecosystem services that inhabitants are reliant upon for their basic survival. Ecosystem services are complex and dynamic systems that are defined as “products of nature that yield human well-being (Boyd and Banzhaf 2005, 16).” The Millennium Ecosystem Assessment outlined four types of ecosystem services that have been recognized by the international community: supporting, regulating, provisioning, and cultural services (Millennium Ecosystem Assessment 2005). Nonetheless, basic ecology and the importance of ecosystem services are generally discounted in development because it is difficult to calculate their value. Despite this lack of recognition, “(e)cological and social resilience may be linked through the dependence on ecosystems of communities and their economic activities (Adger 2000, 347).” One study demonstrated that these non-market goods, such as pollination and irrigation, comprise 46.6% of the total income of the rural poor (Ring et al. 2010, 19). The services offered by ecosystems are abundant, and something we have come to depend on as central components to our livelihood. However, the less resilient systems are to changes in the environment, the more susceptible they are to irreversible damage (Perrings 2006, 419). Humans rely on ecosystem services for their basic survival and, “(y)et human action can render ecosystems unable to provide these services, with consequences for human livelihoods, vulnerability, and security,” consequently, “negative shifts represent loss of resilience (Folke et al. 2002, 7).” Therefore, resiliency may play an indispensible role in ecosystem and watershed management in the future, especially within the context of sustainable development. However, in many places society and globalization have introduced normative practices that are not in alignment with the long-term preservation of the natural environment and valuable ecosystem services. Therefore, “in the case of humans, the timing of change, of course, is such that biological evolution is not an option – sustainability must be achieved through rapid behavioural evolution (Dovers and Handmer 1996, 487).” As a result, resilience must strive to increase the understanding individuals have of their local environment, and promote the adoption of more sustainable behaviour. Participatory decision-making mechanisms are one way to promote individual behaviour change, while simultaneously ensuring that individuals have the agency to operate within an adaptive, self-organizing system (Folke et al. 2002, 7) (Brinkerhoff and Crosby 2002). This is not possible without adequate buy-in from individuals at the community-level, which may be fostered by a responsive and adaptive institutional framework that evolves over time. Without proactive measures that take resiliency into account in the development process, it may be argued that future attempts to improve the management of natural resources may continue to be impaired. Recognize the complexity, interconnectedness and dynamic character of ecological systems; be suited to local conditions; incorporate people who are affected by or who affect the ecosystem; work across administrative boundaries; and emphasize interagency cooperation and the need for organizational change (Imperial 1999 in Tompkins and Adger 2003, 9). Essentially, this entails flexible multi-level governance systems that are able to cope with or adapt to change in an uncertain environment. Conventional governance can erode individual creativity through stringent procedures and controls, thus undermining the ability of organizations to take necessary action to solve the complex problems that we face today (Folke et al. 2002, 8). Further, local level, participatory resource management can “enhance the resilience of communities as well as maintain ecosystem services and ecosystem resilience (Adger et al. 2007, 729).” However, local groups, often feel powerless because they lack adequate access to decision makers and central government officials responsible for implementing policies and programs (Label et al. 2006). Therefore, it requires that institutional systems incorporate the knowledge of local resource users through utilizing a participatory natural resource management approach to reduce increasing vulnerability. This may be a valuable tool to begin to assess the ‘resilience’ within the context of institutions within the VGTB basin, which is essential for sustainable watershed management. More recently a broader definition of resilience has began to emerge in the field of critical security studies to critique human security. Theorists of resilience from this perspective contend that policies were not adopted to improve the livelihoods of individuals or to maintain environmental quality, but as part of a broader state security agenda. Therefore, promoting self-reliance through development, or resilience, has been viewed as a means to maintain global order, and a way to cede power to the West through the continued growth of the neoliberal economic system in the long-term (Duffield 2007, 18 in Shani 2012, 100-101). From a security perspective resilience is a mechanism to strengthen state responses, maintain the status quo, and ensure system stability (Brown 2013, 111). For example, authorities often prioritize infrastructure development to protect against future uncertainties, such as flooding and drought, in areas that experience extreme rainfall variability (Brown andLall 2006). However in the process, well-intentioned plans may discount ecosystem services, and as a result socio-ecological resilience, which is necessary to maintain natural systems. For example, hydropower development provides subsided energy and arguably improves the water supply for agriculture through increased storage. This supports economic growth and local livelihoods, however it may also undermine socio-ecological resilience and the poorest in society may bear the cost. As a result, resilience as security has the potential to make “the disposable marketable”, and undermine vulnerable populations (Duffield 2007 in Shani 2012, 101). Despite policies to encourage resilience and improved environmental management in central Vietnam, the current development agenda may have unintended consequences that may further erode human and environmental security, especially as it is related to water resources. Resilience arose as a part of critical security studies, and is a discipline that critiques conventional security approaches, which have evolved over time. Traditionally, security studies have focused on threats to the state, especially those related to military power. Even the concept of environmental security primarily focused on the state and threats to state security. However, the discourse on environmental security is important because it broadened the field of security by considering the risks posed to the state by environmental change (Barnett 2010, 219, 235). Essentially, it argued that the real source of insecurity is unsustainable development that does not take environmental systems into account. This is important in the current discussion of socio-ecological resilience and ecosystem management because it brought environmental threats onto the security agenda and made them a matter of high politics. More recently, there has been a shift from just addressing state security to also confronting issues related to human security. Human security asserted that a change was required in public policy to ensure the security of the individual (Newman 2010). That is because the state often fails to fulfil its security obligations (Commission on Human Security 2003, 2). Human security can be interpreted in public policy through either a broad or narrow definition. The narrow approach to human security is illustrative of the ‘Human Security Report’ published by the Human Security Center. It defines human security as “the protection of individuals from violent threats (Shani 2007, 5).” This approach focuses on the consequences of violent conflict, repressive governments, and state failure on the local citizenry (Newman 2010, 80). Alternatively, the broad approach to human security mirrors the current development discourse on empowerment. It highlights the need for the “freedom from want, freedom from fear and freedom to take action on ones’ own behalf (Commission on Human Security 2003, 2 in Shani 2007, 5).” It was popularized in the 1994 UNDP Human Development Report. The report highlights the importance of development in human security studies and challenges the conventional security discourse (Newman 2010, 79- 80). Essentially, human security provides a normative framework to challenge non-traditional security issues, such as those found in socio-environmental systems. Human security is often criticized because it is a normative problem-solving approach. It does not attempt to bridge academia to address its potential shortcomings, or engage in an epistemological, ontological or methodological debate (Newman 2010). This undermines its legitimacy in academic discourse as a pathway forward in security studies. For example, the broad approach to human security is so inclusive that it has become impossible to test assumptions and assert causality, thus rendering it meaningless (Newman 2010, 82). However, natural resource management challenges this criticism and embraces uncertainty within a complex system. Natural resource management strategies strive to learn from complex relationships to solve ‘wicked’ problems (Van Zeijl-Rozema et al. 2008, 411). Wicked problems are complex and multidisciplinary in nature and require new, innovative strategies to solve challenges. Therefore, the broad security framework may be the first step to address socio-ecological systems because it correctly identifies that “threats are intrinsically linked” within a complex system (Tadjbakhsh and Chenoy 2007 in Newman 2010, 83). However, a more systematic approach for analysis may be necessary for human security to gain currency within academia. Critics that use the framework of resilience in security studies assert that human security reinforces the power of the sovereign nation state by legalizing intervention without factoring in power disparities between actors (Shani 2007, 7). Critiques correctly identify how the state is at the mercy of the international economic system, and thus subject to the influence of western, hegemonic powers though ‘democratic imperialism’. As a result, critical perspectives discuss uneven benefit-sharing and economic growth, as a result of outside intervention. Arguably, this further undermines vulnerable communities because they are the victims of the global neoliberal economic system (Shani 2007, 81). This not only disenfranchises the weak, but it puts less powerful states in a difficult position in which they must balance the needs of their citizenry and the global economy. Critics argue that this not possible, but they do not provide an alternative solution to overcome asymmetrical power distribution. Critical security is often not included in the human security discourse, but it may provide a more analytical lens to bolster its relevance and use. Instead it prioritizes the development of strategies to change social organization to promote equity, improve individual livelihoods, and engender ‘emancipation’ (Mutimer 2010, 45). Both emancipation and security aim to minimize threatens. That is because “emancipation is the freeing of people (as individuals and groups) from those physical and human constraints which stop them carrying out what they would freely choose to do (Booth 1991, 319).” Essentially, critical security broadens the debate to look at the entire system from the perspective of the individual. Therefore, it may provide a valuable tool to bridge the divide between the concept of human security and the traditional security discourse. Resilience may provide a beneficial conceptual framework to determine potential problem-solving approaches that prioritize policy action to preserve degraded socio-ecological systems, which also takes critical approaches into account that questions the status quo. Despite these fundamental changes, neither environmental security or human security takes the watershed into account; instead the referent object is the state or the individual. However, recently there has been a movement to present collective human security as a third paradigm (O’Brien et al. 2013). Therefore, instead of only looking at the individual or the state, the collective, or sum of people within a watershed or sub-basin, may be more valuable in assessing the impacts of the system. Watersheds are composed of natural boundaries based on climate and geology, which comprise a natural system, that is reinforced by local soil, vegetation and fauna (Lotspeich 1980). This system falls within the natural drainage basin that includes mechanisms to begin to assess socio-environmental relationships (Ferrier and Jenkins 2010). This fundamental shift will allow alternative strategies to be developed that may provide different leverage points to allow systems transformation towards sustainability (Meadows 2008). Humans have caused degradation and the downfall of natural systems. Continued debasement has even impaired those systems that humans are reliant upon to ensure their basic survival. However, humans have also shown the capacity to change systems by adopting more sustainable management approaches that embrace collective action (O’Brien et al. 2013, 6). Thus new approaches may be needed to assess the current situation and provide alternatives and promote transformative change. As a facet of collective human security, both definitions of resilience may be valuable to assess watershed health and ensure socio-ecological systems remain intact. That is because both concepts of resilience emphasize stability and system dynamics, but interpret them very differently. The socio-ecological definition of resilience prioritizes the collective within the ecosystem as the unit of analysis, which is an important component of environmental security. However, the idea of resilience in security studies identifies the individual as the referent object for analysis in which to draw conclusions about the broader system, and deduces that the individual is a victim of the global neoliberal system. Together these concepts may provide a different lens to assess ecosystem and watershed health, and overcome shortcomings of both frameworks. First, socio-ecological resilience is important for understanding linkages, relationships, and their interactions within a given system, which can include individuals within a community, institutions, or an ecosystem (Folke 2006). However, socio-ecological resilience and various ecosystem management paradigms are sometimes criticized for discounting power dynamics in analyses, but the security framework may provide an opportunity to address this challenge (Brown 2013). The concept of resilience in security studies helps to begin to identify relationships that must be addressed in both local water management and development practices because they pose a fundamental threat in the future. However, it is difficult to determine who should decide “the resilience of what to what? ...For whom (Lebal et al. 2006)?” In this sense, resilience thinking can create windows of visibility on the process of change, while obscuring others (Cote and Nightingale 2012, 484).” Thus, potentially perpetuating inequitable power distributions that undermine vulnerable individuals and institutions. Therefore, it is even more important to take the whole system into account when utilizing this approach, and is one reason why combining both frameworks may be mutually beneficial. In effect, the distinct differences between the two frameworks may aid in efforts to reframe analysis to not only address social and ecological factors, but also underlying issues related to human relationships and power asymmetry. For example, resilience from the perspective of security asserts that centralized action is prioritized in the face of uncertainty and impeding change because it is “closely linked to existing bureaucratic and political power bases (Dovers and Handmer 1996, 490).” That is because centralized institutions that are often responsible for responding to impeding environmental threats are in fact mechanisms “of the most powerful, wealthy and centralized institutions” in the world (Hewett 1983, 9). Therefore, disparities in power may undermine efforts to promote resilience in local communities facing serious threats from thedegradation of the natural environment. Granted, organizations have begun to implement more decentralized, power-sharing structures in efforts to strengthen policy and program implementation (Brinkerhoff and Crosby 2002, 6). It is nevertheless unclear whether institutions, and as a result individuals, will be able to adapt to an ever-changing environment that priorities decentralized mechanisms to promote more sustainable ecosystem management. However, these measures may promote greater equity and be bolstered by a new definition of resilience. Secondly, the whole system encompasses a wide-range of additional components, including: governance systems, resources users, resource systems and resource units (Ostrom 2009, 420). Therefore, complexity and uncertainty are inherent. Socio-ecological resilience should be a key element of both basin assessment and management. That is because this systems thinking approach can greatly inform the security debate. First, it “provides useful insights into the different types of change and how different systems can respond to different types of disturbances (Brown 2013, 113).” Essentially, it provides a framework of analysis through systems science to enhance its effectiveness as a practical tool (Meadows 2008). Second, ecological concepts recognize that changes in complex systems are characterized by uncertainty (Brown 2013, 113). Systems include both positive and negative feedback loops, both of which are essential components of ecology, and they determine system behavior. Feedback loops self-correct in resilient systems, but when ecosystems are vulnerable these important mechanisms reach a critical threshold and a regime shift can occur (Meadows 1999). However, change is neither uniform nor predictable, so it often does not lead to necessary changes. If leveraged correctly this knowledge may provide policy windows to drive transformative change (Brown 2013, 114). Understanding complex ecological systems may lead to opportunities for political change in the future that put a greater value on these sensitive systems, especially if it is understood that future uncertainty is a threat to both human and state security. However, these changes will not be immediate, and may be more possible by utilizing the tools of adaptive management. Adaptive management through social learning uses a ‘learn by doing’ approach, so institutions and individuals can learn from previous experience and make necessary changes to be successful (Paul-Wostl 2006). Socio-ecological resilience highlights the necessity of adaptive capacity to enhance environmental management efforts, and adaptive capacity has the ability to enhance collective human security (Brown 2013, 114). The approach is essential to drive transformative change. In essence, it is important to develop a research framework that takes a nested and comprehensive approach to assess resilience, especially within a watershed. Therefore, a comprehensive research strategy will be carried out that takes an exhaustive approach to identify upstream and downstream indicators to assess watershed health. Managing for resilience is an essential component of sustainable development because we currently operate in a relative system of uncertainty (Levin et al. 1998) (Holling 2001). Therefore, resilience may be a tool to prevent dramatic shifts within a system to undermine long-term sustainability. However, these things are often hard to assess. Socio-environmental relationships are complex, multi-faceted mechanisms, which are vital to maintain healthy ecosystems, and hence watersheds. This is especially true in the VGTB basin in the context of climate change and growing regional environmental stress. Utilizing a different conceptualization of resilience will lead to a greater understanding of the impacts of asymmetrical power distribution on local socio-environmental systems. Furthermore, by using tools from many different fields, researchers can not only assess resilience and sustainability through establishing upstream and downstream indicators, but also provide insight into alternatives to drive transformative change in the VGTB basin in the future. Adger, W.N., S. Agrawala, M.M.Q. Mirza, C. Conde, K. Obrien, J. Pulhin, R. Pulwarty, B. Smit and K. Takahashi. Assessment of adaptation practices, options, constraints and capacity. Climate Change 2007: Impacts, Adaptation and Vulnerability. Contribution of the Working Group II to the Fourth Assessment Report of the Intergovernmental Panel on Climate Change. Cambridge University Press, Cambridge, UK (2007): 717-743. Barnett, Jon. “Environmental Security.” Contemporary Security Studies, Oxford University Press, (2010): 239-255. Booth, K. “Security and Emancipation,” Review of International Studies 17, no. 4 (1991): 313-26. Brinkerhoff, Derrick W. and Benjamin L. Crosby. Managing Policy Reform: Concepts and Tools for Decision Makers in Developing and Transitioning Countries. Kumarian Press, 2002. Brown, Katrina. “Social Ecological Resilience and Human Security.” In A Changing Environment for Human Security: Transformative Approaches to Research, Policy and Action, ed. Karen O’Brien, Linda Sygna and Johanna Wolf. Routledge (2013): 107-116. Burry, Kristal and Peter Oliver. 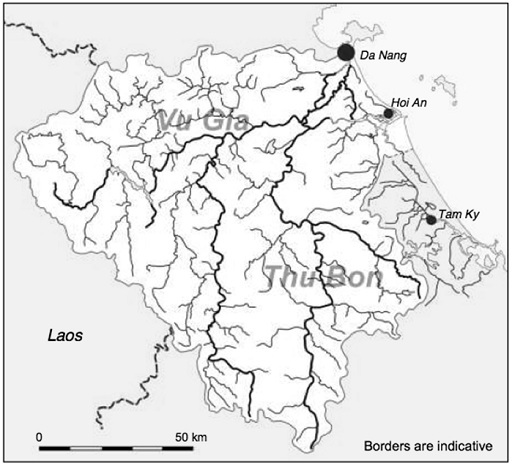 Situational Analysis of the Vu Gia – Thu Bon River Basin, Central Vietnam. International Water Centre, 2009. Commission on Human Security. Human Security Now. New York, 2003. Cote, Muriel, and Andrea Nightingale. “Resilience Thinking Meets Social Theory: Situating Social Change in Socio-Ecological systems (SES) Research.” Progress in Human Geography, 34, no. 4 (2012): 475-489. DONRE (Department of Natural Resources and Environment) Quang Nam Province. “Vu Gia-Thu Bon River Basin, Viet Nam - Investment Roadmap for Water-related Development,” ADB RETA 6470: Managing Water in Asia’s River Basins: Charting Progress and Facilitating Investment (Financed by the Japan Special Fund), December 2011. Dovers, Stephan and John Handmer. “A Typology of Resilience: Rethinking Institutions for Sustainable Development.” Industrial & Environmental Crisis Quarterly, 9, no. 4 (1996): 482-511. Duffield, Mark. Development, Security and Unending War: Governing the World of Peoples, Cambridge: Polity Press, 2007. Ferrier, Robert C, and Alan Jenkins. "The Catchment Management Concept." Handbook of catchment management (2010): 1-17. Folke, C, S Carpenter, T Elmqvist, L Gunderson, C S Holling, B Walker, J Bengtsson, F Berkes, J Colding, and K Danell. "Resilience and Sustainable Development: Building Adaptive Capacity." Background paper commissioned by the Environmental Advisory Council of the Swedish Government, 2002. Folke, Carl. "Resilience: The Emergence of a Perspective for Social–ecological Systems Analyses." Global Environmental Change 16, no. 3 (2006): 253-267. Gaillard, JC. "Vulnerability, Capacity and Resilience: Perspectives for Climate and Development Policy." Journal of International Development 22, no. 2 (2010): 218-232. Hewett, K. Interpretations of Calamity. Winchester, UK: Allen & Unwin, 1983. Holling, C.S. “Resilience and Stability of Ecological Systems.” Annual Review of Ecology and Systematics 4 (1973): 1-24. Holling CS. “Understanding the complexity of economic, ecological and social systems.” Ecosystems 4 (2001): 390-405. ICEM. Strategic Environmental Assessment of the Quang Nam Province Hydropower Plan for the Vu Gia-Thu Bon River Basin, Prepared for the ADB, MONRE, MOITT & EVN, Hanoi, Vietnam, 2008. Imperial, Mark T. "Institutional Analysis and Ecosystem-Based Management: The Institutional Analysis and Development Framework." Environmental management 24, no. 4 (1999): 449-465. Kacowicz, Arie M. “Case Study Methods in International Security Studies.” In Models, Numbers and Cases: Methods for Studying International Relations, ed. Detlef Sprinz and Yael Wolinsky-Nahmias. University of Michigan (2004): 107. Lebel, L., J. M. Anderies, B. Campbell, C. Folke, S. Hatfield-Dodds, T. P. Hughes. and J. Wilson. “Governance and the Capacity to Manage Resilience in Regional Social-Ecological Systems.” Ecology and Society 11, no. 1 (2006). Levin S, S Barrett, S Aniyar, W Baumol, C Bliss, B Bolin, P Dasgupta, P Ehrlich, C Folke, I-M Gren, CS Holling, AM Jansson, B-O Jansson, D Martin, K-G Mäler, C Perrings, E Sheshinsky. “Resilience in Natural and Socioeconomic Systems.” Environment and Development Economics 3 (1998): 222-235. Lotspeich, Frederick B. "Watersheds as the Basic Ecosystem: This Conceptual Framework Provides a Basis for a Natural Classification System." Journal of the American Water Resources Association 16, no. 4 (1980): 581-586. Meadows, Donella. "Leverage Points: Places to Intervene in a System." The Sustainability Institute (1999). Meadows, Donella. Thinking in Systems, Sustainability Institute, 2008. Mutimer, David. “Critical Security Studies.” In The Routledge Handbook of Security Studies, ed. Myriam Dunn Cavelty and Victor Mauer, Routledge (2010): 45. Newman, Edward. “Critical Human Security Studies.” Review of International Studies 36 (2010): 77–94. O’Brien, Karen, Linda Sygna and Johanna Wolf. A Changing Environment for Human Security: Transformative Approaches to Research, Policy and Action. Routledge, 2013. Ostrom, Elinor. “A General Framework for Analyzing Sustainability of Social-Ecological Systems,” Science 24 (July 2009): 419-422. Pahl-Wostl, Claudia. "Transitions Towards Adaptive Management of Water Facing Climate and Global Change." Water Resources Management 21, no. 1 (2006): 49-62. Pelling M. The Vulnerabilities of Cities: Natural Disasters and Social Resilience. Earthscan: London, 2003. Perrings, Charles. "Resilience and Sustainable Development." Environment and Development Economics 11, no. 04 (2006): 417-427. Quang Nam Province. 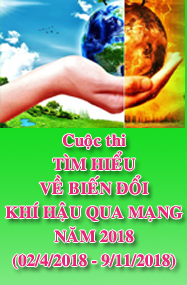 Strategic Environmental Assessment (SEA) on Socio-Economic Development Plan for the Quang Nam Province (2011-2015), Government Report, 2011. Ring, Irene, Bernd Hansjürgens, Thomas Elmqvist, Heidi Wittmer and Pavan Sukhdev. “Challenges in framing the economics of ecosystems and biodiversity: the TEEB Initiative.” Current Opinion in Environmental Sustainability 2, no. 1-2 (2010): 15-26. Shani, Giorgio. “Introduction: Protecting Human Security in a Post 9/11 World.” In Protecting Human Security in a Post 9/11 World, ed. Giorgio Shani et al., Palgrave Macmillan, November 2007. Tadjbakhsh, Shahrbanou and Anuradha Chenoy. Human Security: Concepts and Implications. Routledge, 2007. Toan, Pham Phuoc. “Adaptive Water-Sharing in the Vu-Gia-Thu-Bon Basin.” Center for River Basin Organizations and Management, Indonesia, CRBOM Small Publications Series No. 32, March 2011. Tompkins, E L, and W N Adger. "Building Resilience to Climate Change Through Adaptive Management of Natural Resources." Tyndall Centre for Climate Change Research, Norwich, UK, 2003. Trinh, Chu Manh. “Building Resilience in Hoi An City, Viet Nam through the Cham Islands Marine Protected Area”, Safe Havens: Protected Areas for Disaster Risk Reduction and Climate Change Adaptation, Murti, R and Buyck, C. (ed) (2014), Gland Switzerland: IUCN, XII + 168 pp, 149-156. Van Zeijl-Rozema, Annemarie, Ron Cörvers, René Kemp, and Pim Martens. "Governance for Sustainable Development: A Framework." Sustainable Development 16, no. 6 (2008): 410-421. World Commission on Environment and Development. Our Common Future (Brundtland Report), New York, Oxford University Press, 1987. Yin, Robert. Case Study Research: Design and Methods, Sage Publications, 1984. It had been hours of discussion, an open debrief with the Marine Protected Area staff about the first phase of the GEF sponsored recycling project implemented by the Women's Union. The women were critiquing the design of the bikes and wagons that were provided to them to run recycling businesses as part of an evolving waste management system to reduce the amount of garbage going to the landfill. Nearing the end, one woman raised her hand to comment but when she was handed the microphone she instead began to sing. I sat in astonishment, this had certainly never happened at any of the public meetings I attended in the states especially about such a seemingly uninspiring subject matter. The other women watched and smiled and laughed and some joined in. Hoi An city is located in the Vu Gia –Thu Bon estuary, which empties into the Pacific Ocean. As a result, Hoi An’s economy is based on its natural resources and tourism, both of which are severely impacted by natural disasters and climate change. The most significant hazards, shocks, and stresses the city faces are: floods, typhoons, saline intrusion, coastal/riverbank erosion, and environmental and natural resource degradation. Hoi An’s work around the marine protected area, as well as the biosphere reserve concept have laid the foundation for Hoi An’s resilience-building work. Chiều ngày 21.11.2013, tại Bảo tàng Phụ nữ Việt Nam, Hà Nội, đã diễn ra Triển lãm ảnh và hiện vật “Tôi sống xanh”, do Trung tâm Hành động vì Sự phát triển Đô thị (ACCD) và Bảo tàng Phụ nữ Việt Nam phối hợp tổ chức. 'Di sản xanh, nơi gặp gỡ của con người và thiên nhiên” là chủ đề mà Bộ VHTT&DL đã chọn trong Tuần văn hóa, du lịch sẽ diễn ra tại Trung tâm Triển lãm văn hóa nghệ thuật Việt Nam từ ngày 19- 23-11-2013 tại Hà Nội. Đây là chủ đề thiết thực, khi di sản văn hóa đang chịu nhiều tác tác động của môi trường, trong đó di sản miền Trung là một minh chứng điển hình.